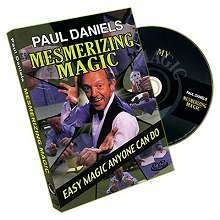 On this instructional DVD, Paul teaches you how to become popular at events and parties using magic. You will learn how to make everyday objects disappear into thin air, perform eye popping card tricks, make the face on a bill seem to come alive, pass a pen through the middle of a bill without harming it, make objects change places before your eyes, and much, much more. 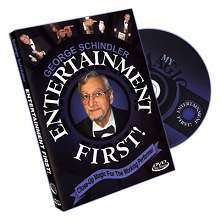 The DVD begins with Paul introducing you to magic with some advice on how to learn and perform these mesmerizing routines. 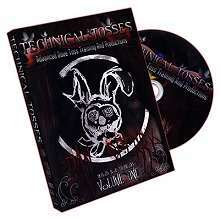 Throughout the DVD Paul gives tips that will help you learn and perform the magic for friends, family and even strangers. Push Through Card: A selected card is found when it is pushed out of the center of the deck. Upside Down Note: A borrowed bill is folded and amazingly turns upside-down. Pen Through Banknote (John Hirokawa): A pen is pushed through the center of a bill while it is wrapped by a post-it note -- amazingly the money is not harmed. The Vanishing Ace: An Ace magically vanishes from the pack and appears back inside the card case. Two Into One: Two pieces of string are magically merged into one. Vanishing Coin: A coin vanishes after being placed in the center of a handkerchief. You Do As I Do: Two cards are selected from different packs and turn out to be identical. Stretching Napkin: A table napkin is made to stretch to almost twice its length. Linking Paperclips: Two paperclips link as they jump off of a bank note. Coins Across: Coins vanish from under paper napkins and assemble in one place. The magic taught here is very easy but is also the magic that Paul uses when he performs in casual situations and among friends. These routines are time-tested classics that you will enjoy fooling and entertaining your friends with.